In a sequel to PattySue Finds a Home, PattySue, a brown and white dog with a very curly tail, found herself in quite a predicament. Although she had finally found a home with the beautiful lady and the handsome man, she had not met any friends with whom she could share her dreams. Join the lovable PattySue as she meets many interesting characters in her quest to find true friendship. Available on Kindle Fire from Amazon.com and from iBooks for Apple Devices. 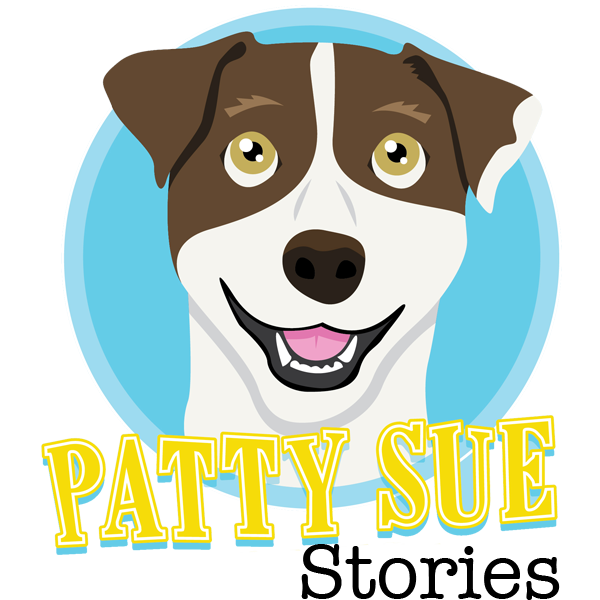 In PattySue Finds a Home, PattySue, a brown and white dog with a very curly tail, finds herself in quite a predicament. Her owner has had to take her to the Humane Society because she couldn't keep her, and PattySue doesn't know what is going to happen to her. The story of how PattySue finds a home will appeal to young and old as she discovers that she really only has to be herself to be loved again. 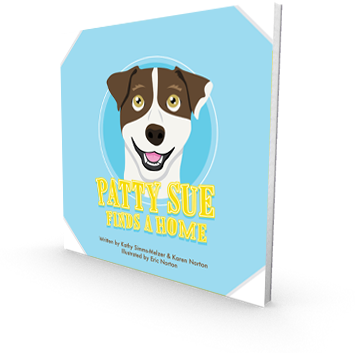 PattySue Finds a Home is available as an iBook and is available on iPhone, iPad, or iPod touch. Click here to visit iTunes..
PattySue Finds a Home is now availabe at Barnes & Noble for enjoyment on your Nook eReader. Click here to visit BN.com. A portion of the proceeds will be donated to the Kansas Humane Society and other rescue groups.